← Need Help Beginning a Blog? When I work with school districts shifting to blended learning, I often train teachers on the station rotation model and the flipped classroom. Both of these strategies for blending face-to-face and online learning work well for teachers in a traditional school setting. The station rotation model does exactly what its name suggests. Students rotate around the classroom to different learning stations. For this to be considered a blended learning model, at least, one station must be an online learning station. If teachers have access to ample to technology, they can design multiple stations that use technology. The flipped classroom is a model in which the transfer of information takes place online, where students can pace their own learning. Then the practice phase of learning takes place in the classroom, where students have access to the subject area expert and a community of their peers with whom they can get support. When I present on the flipped classroom, many teachers express concern about students 1) not having access to technology outside of school and 2) not completing the flipped homework and coming to class unprepared. One way to address both of these concerns is to combine the station rotation model and the flipped classroom with an in-class flip. The in-class flip can be set up as one of the online learning stations in a station rotation lesson. Teachers can record videos explaining a concept, introducing vocabulary, or modeling a process. Then students can watch that video in a station where they can still pace their learning by pausing or rewinding the video. Once they’ve seen the video, they can engage in a collaborative task attempting to apply the information from the video as a group. This is a great way to take the benefits of the flipped classroom and embed them into the station rotation model. 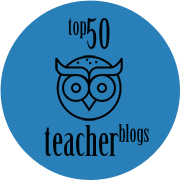 This entry was posted in Blended Learning, Learning, Online Learning, Technology in the classroom and tagged Blended Learning, Lesson Plans for Teachers, Online Discussions, Technology in the classroom. Bookmark the permalink. I heard a talk by a college prof, in which she described her “flipped learning”: In class, they do and go over homework problems. Outside of class, students read the textbook assignments for the next session. She reported positive results from that way. Yes, my students love the flipped classroom model. I flip my vocabulary, writing and grammar instruction. I said yes with great enthusiasm and began creating my Classroom pages. Today my classes are getting hooked up to the site, reading and responding to an article. I ‘m not sure I would have been ready and eager without devouring your book and seeing all the things I can do now! So thank you very much for how you are helping! You are so welcome! I’m thrilled you enjoyed my book and found the ideas in it useful! It’s so wonderful to know it’s gotten you excited to use the technology you have in your classroom. I’m jealous you are going 1:1 next year. That’s so exciting! The only cavet is add is that while having a strategy to overcome those concerns or flipping are important, hopefully that type of station is not the only online opportunity offered to those students. With the richness of the Internet I cannot see only allow them to listen to me lecture. I agree, Penny. The online learning stations should be varied to take advantage of the wealth of resources online. It’s key to keep those online stations varied so students are not always asked to do the same thing online. Thank you for this article. I am trying to flip my classroom with blended learning aspects for the next semester. This is a dream of mine, and several colleagues and high ups think it would work in my classroom. One issue that I am seeing is lack of access ,or if students have devices, issues with the network. What suggestions do you have? Part of the reason I use the in-class flip to marry station rotation and the flipped classroom is to address some of those concerns about lack of access and students not completing homework. Building the flipped classroom model into the station rotation still allows students to self-pace their learning, which is key, without them taking the videos or media home. Alternatively, you can burn DVDs or store videos on flash drives and check them out like a library book to the kids without access. Thank you for all of the excellent ideas on your blog! I am also reading your new book and hope to incorporate more blended learning strategies into my classroom. I currently use Screencast to make my flipped videos, but it only allows a 5-minute video which is often too short for my lesson. Do you have an app or website that you recommend for making flipped videos? I use QuickTime, which is a free application on my Mac. Screencast-o-Matic has a free version. Most of the other applications are paid for products like Camtasia and Educreations. Any suggestions on a free program for making videos using Windows based software? I’m not a Windows user, Amy, so I’ll publish this in the hopes that someone can answer this question. Catlin, which one of your books would you recommend to a new teacher who wants to use the in-class flip model in her classroom? I think it sounds just perfect for my school setting! Blended Learning in Action has chapters on the flipped classroom and the station rotation model. The in-class flip marries these two models, so having information on both (and a section on the in-class flip) will provide a clear picture of how to get the in-class flip done.